The nest and ecobee thermostat are undoubtedly the best and most popular smart thermostats in the smart thermostat market. The nest thermostat and ecobee smart thermostat were the two smart thermostats that introduced many people to their first smart home device. I personally have a nest thermostat in my home but have tested, set up and installed dozens of ecobee thermostats, they are both great. Let me make this statement first, if you choose either one of these thermostats you’ve made the right choice, nest and ecobee are the best thermostats on the market and you won’t be disappointed with either. Our comparison will help you decide what smart thermostat is right for you and how it can help you save energy and make your life easier. It’s round a beautiful, the iconic design of nest is hard to miss and when you walk into a high end home you expect a nest thermostat to be mounted on the wall. The nest thermostat was created by a former apple executive responsible for some of the greatest designs in apple history. When he created nest used the same design philosophy as apple to create beautiful products. The nest thermostat currently comes in several different colors so you can match your smart thermostat to the design aesthetic of your home. The available colors are black, white, silver, copper, mirrored black, polished steel and brass. The ecobee still has a great low profile design that will look good on any wall but it only comes in one finish and lacks the outer turning ring nest thermostat an instead uses a high end touchscreen interface to allow you to adjust the temperature by scrolling your finder across the screen of the ecobee. There is something very simple and satisfying about the outer turning ring of the nest thermostat when you scroll the temperature by turning the outer ring it just makes you feel like that’s how a thermostat should be controlled and it’s smooth turning action provides just the right amount of tactile feedback to make the experience feel luxurious. Smart voice assistants like Amazon Alexa are becoming more integrated and useful in our daily lives. Both the nest and ecobee smart thermostats work with Alexa to allow voice control by saying “Alexa, set the heat to 72” but the ecobee smart thermostat has a slight edge when it comes to Alexa control. The ecobee 4 smart thermostat has Alexa built in. 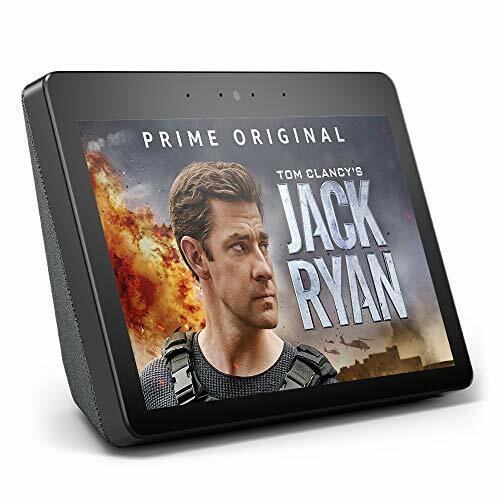 Meaning that you can speak your voice commands directly to your smart thermostat without the need for an additional echo device like the echo dot or echo show. Adding Alexa voice control to your smart thermostat is one of the best upgrades you can do to your smart thermostat because it unlocks so much additional functionality. If you already have an existing Alexa echo device you can connect your smart thermostat in a few easy steps. If you haven’t decided what Amazon Alexa device is right for you our Alexa guide covers the features of each here. I love apple products and have ton of apple stuff and I’m even writing this post on my apple laptop but you can’t call apple homekit a “true” smart home platform when it severely restricts the devices that will work on the platform. I mean nest is the most popular smart thermostat and it doesn’t even have a Homekit integration. When you compare home kit to either Alexa or the Google Home ecosystem it doesn’t offer nearly as many features or device integrations. The Ecobee 4 or Nest Thermostat will still work perfectly on your phone without Homekit. With voice assistants like Google Home & Alexa becoming more prevalent and most people preferring to use voice over their phone for control Homekit integration I don’t place a high importance on the need for Homekit control of a smart thermostat. Both the Nest Thermostat and Ecobee 4 Thermostat work with Google Home. This means you can control either thermostat using your voice and a compatible google home device like the Google Home Hub or Google Home Mini. 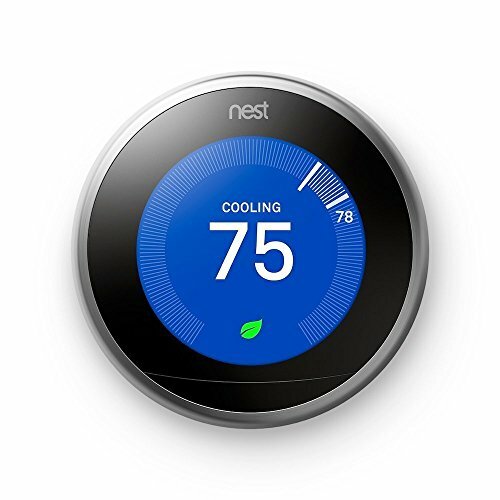 You can connect either the Nest Thermostat or Ecobee 4 through the Google Home setup and interface to allow voice control of your thermostat by saying “Ok, Google set thermostat to 73 degrees.” The Nest Thermostat & Google Home connection does work a little better than the Ecobee connection because Nest is actually part of Google and Ecobee is just a 3rd party device that has control through the Google Home app. Winner: Ecobee, Nest A Close Runner Up. Both the nest thermostat and ecobee thermostat have remote temperature monitoring sensors that will tell you the temperature in other rooms where your thermostat is not located. With the temperature sensors you can then have your nest or ecobee thermostat “hold” a temperature in a designated room. This is because most houses don’t heat and cool evenly. With a temperature sensor, if your smart thermostat is located in your living room but you want your bedroom to be exactly 67 degrees when your sleeping you can set the temperature to exactly 67 degrees in your master bedroom by placing a temperature sensor in the master bedroom. 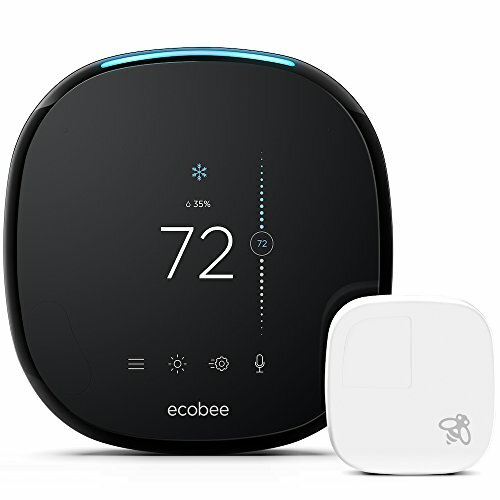 The ecobee 4 thermostat comes with one temperature sensor included and you can buy additional sensors in sets of two. The nest thermostat temperature sensor don’t come with the thermostat and you must purchase them as additional accessories. Both the nest and ecobee temperature sensors will detect tempertaure but the the ecobee temperature sensors also have a built in occupancy sensor so they can detect if you are in a room, and they have a “follow me” follow me feature that allows the thermostat to maintain the precise temperature in the rooms you are using for maximum comfort. The occupancy sensors on the ecobee temperature sensors can also be used to more accurately detect when you are away from your home to optimize energy savings. We have a related post on the nest temperature sensors, but it also covers how to optimize heating and cooling using temperature sensors for your home regardless if you choose an ecobee or nest thermostat. If your home has uneven heating and cooling I highly recommend you read the post. The Ecobee temperature sensors do offer more value in that they include two functions (temperature and occupancy sensors) where as the nest temperature sensors only detect the temperature. Also including one temperature sensor in the box with the purchase of the Ecobee 4 does offer a good value and additional functionality vs the nest thermostat which requires you to purchase the temperature sensors as additional accessories. Neither the Ecobee 4 or Nest Thermostat temperature sensors detect humidity but we wish that Ecobee and nest would add these smart features to their temperature sensors in the future. However both Ecobee 4 and the Nest Thermostat can detect humidity at the thermostat. Ecobee and Nest also offer humidifier control if you have a compatible humidifier and the wiring needed to connect them to the smart thermostat. Both the ecobee and nest thermostat are packed full of smart features. They both have built in motion sensors that can detect when you are home or away and can also use your phone location to detect the best times to save you energy if you enable the optional features. Behind the scenes both nest and ecobee be have extensive settings that you can adjust to optimize your energy savings or home comfort. You can easily set schedules, switch between heating and cooling or away mode. The biggest difference between the two thermostats is that ecobee has a touchscreen vs the nest uses the outer ring to navigate through menus and ecobee has Amazon Alexa built in. Nest is simple to install, most people can install it on their own in under an hour. It just involves turning off your furnace, taking off your old thermostat, marking the wires, and re-installing the new nest thermostat and turning your furnace back on. The nest thermostat doesn’t typically require a common wire but if you have one you should connect it. The nest is compatible with 95% of home HVAC systems and we have statement to be fairly accurate in since we installed our first nest in 2012. Nest offers simple installation, and even includes the only tool you typically need to install the thermostat in the box, which is a screwdriver. The Ecobee also makes the claim of compatibility with 95% of HVAC systems and based on our experience we have no reason to doubt this statistic on some more complex heating and cooling systems Ecobee works better than the nest thermostat. However the Ecobee requires that a common wire be used for installation or a common wire adapter be used. Based on our experience a common wire is typically available in most homes only 20-30% of the time. Some newer builders are catching on but the reason that common wires typically aren’t installed during construction is that most budget thermostats that builders use don’t require them. If you don't have a common wire you will need to install the common wire adapter that Ecobee provides with the Ecobee thermostat. To install the common wire adapter you will need to open your furnace and wire the common wire adapter onto your furnace electrical terminals. This step is what makes the Ecobee installation more difficult than the nest installation. Both nest and ecobee are amazing smart thermostats packed full of technology, you can’t go wrong with either of these smart thermostats and you will be happy with either smart thermostat you choose. In this comparison we gave Nest the slight edge and overall win in our recommendation because for the majority of homeowners it will be easier to install than the ecobee thermostat. The majority of homeowners don’t need a common wire for the nest thermostat to work meaning the installation is as simple as removing the old thermostat and replacing it with nest. As we covered above the ecobee requires a common wire or installing the common wire adapter kit which is a little bit more technical than some DIY homeowners are comfortable with. Overall the ecobee does offer a few more smart features than the nest thermostat such as a touchscreen and built in Alexa. Ecobee also includes one temperature sensor with the purchase of the thermostat and the nest does not, each nest temperature sensor is extra. As an former engineer I can appreciate the technical features and technical details that went into the Ecobee thermostat. It is an engineers thermostat with a ton of features, however the majority of smart thermostat users will be happy with the features nest offers with easy app use, and energy saving home and away modes. While design is in the eye of the beholder, the nest thermostats’ clean round lines tend to appeal more universally than the Ecobee and is what most people tend to think of when a “smart thermostat” is mentioned. Don’t get me wrong the Ecobee looks great on a wall also but there is something nest thermostat design that makes you think that’s what smart thermostat should look and feel like. If you choose either of these smart thermostats you will be impressed with their features and they will be a huge upgrade from a traditional thermostat. Both thermostats are easy to use and packed with technology that will make your life easier, your home more energy efficient and more comfortable. How to connect Nest to Alexa?